The Double Kross BX Rotary Magazine Doubler is a complete magazine body that houses two existing BX-1 10/22® magazines in one lightweight compact design. This product is ideal for competition shooters and plinkers alike that are looking to streamline their gear but still have the reliability of the factory BX-1 10-round magazine. When you expend the first 10 rounds, quickly flip it over for another full magazine. 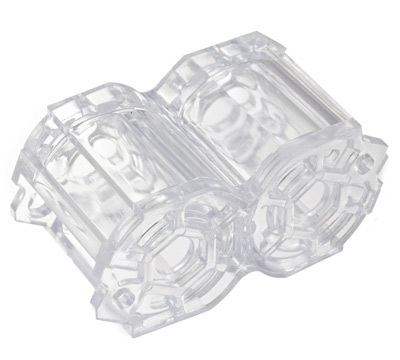 The clear Double Kross also provides the ability to count your rounds. Unlike other third party couplers, the Double Kross fits perfectly in standard 10/22 magazine pouches. Use the Rotary Magazine Assembly Tool (#18498) to make the job quick and easy! NOTE: This product is a magazine housing ONLY - buyer provides the internal components from existing 10/22 Rotary Magazines to complete the installation of the Kit. Fits all firearms that use the standard Ruger BX-1 magazine including the 10/22® Rifle, 22 Charger™ Pistol and the Ruger American Rimfire® Rifle. Made by Tandemkross.